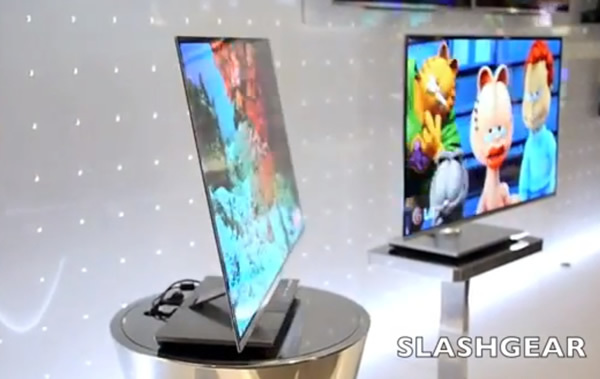 Do you know what is OLED? OLED is a light-emitting diode (LED) in which the emissive electroluminescent layer is a film of organic compounds which emit light in response to an electric current. This layer of organic semiconductor material is situated between two electrodes. Generally, at least one of these electrodes is transparent. Adding mobile ions to an OLED creates a Light-emitting Electrochemical Cell or LEC, which has a slightly different mode of operation. OLED displays can use eitherpassive-matrix (PMOLED) or active-matrix addressing schemes. Active-matrix OLEDs (AMOLED) require a thin-film transistor backplane to switch each individual pixel on or off, but allow for higher resolution and larger display sizes. It is important that an OLED display works without a backlight, so it can display deep black levels and can be thinner and lighter than liquid crystal displays(LCDs). In low ambient light conditions such as dark rooms an OLED screen can achieve a higher contrast ratio than an LCD, whether the LCD uses either cold cathode fluorescent lamps or the more recently developed LED backlight. Due to their low thermal conductivity, they typically emit less light per area than inorganic LEDs. OLEDs can be used in television set screens, computer monitors, small, portable system screens such as mobile phones and PDAs, watches, advertising, information, and indication. OLEDs are also used in large-area light-emitting elements for general illumination .. more information. Organic Light Emitting Diode technology, pioneered and patented by Kodak/Sanyo, enables full color, full-motion flat panel displays with a level of brightness and sharpness not possible with other technologies. Unlike traditional LCD’s, OLED’s are self-luminous and do not require backlighting, diffusers, polarizers, or any of the other baggage that goes with liquid crystal displays. Essentially, the OLED consists of two charged electrodes sandwiched on top of some organic light emitting material. This eliminates the need for bulky and environmentally undesirable mercury lamps and yields a thinner, more versatile and more compact display. Their low power consumption provides for maximum efficiency and helps minimize heat and electric interference in electronic devices. Armed with this combination of features, OLED displays communicate more information in a more engaging way while adding less weight and taking up less space. There are two forms of OLED displays: Passive-matrix and Active-matrix … more information. OLEDs are solid-state devices composed of thin films of organic molecules that create light with the application of electricity. OLEDs can provide brighter, crisper displays on electronic devices and use less power than conventional light-emitting diodes (LEDs) or liquid crystal displays (LCDs) used today … more information. Organic light emitting diode (OLED) displays using DuPont technology produces imagery so bold, you won’t believe your eyes. It’s no wonder you get such amazing contrast and clarity, since DuPont has been perfecting the technology in this emerging industry for nearly 15 years. DuPont OLED technology represents the next-generation technology for higher performance and lower cost large-area flat panel displays as well as playing a critical role in enabling more efficient future lighting solutions. How works the OLED technology?